MAIN POINT: While it is true that worship is all about God, the condition of the worshiper is also crucial. The quality of our worship to God hinges on two elements. Our inner spiritual well-being and our outer relationships with others. Each time we come to God, we need to be reminded of this. No matter how hard we try, we can never cleanse ourselves. We can never redeem ourselves on our own strength. We need God's help. In this second part of worship, I shall talk about the quality of the worshiper's heart. This is what I call being 'people-scented.' Scented from within. Scented from without. Both needs to be strung together with a scent of thanksgiving. For me, people-scented worship is an awareness that we need one another. We need restored relationships with each other. We need to be forgiven, and to forgive. We need to love one another as Christ loved us. We need essentially to practice the grace of Christ on one another, just as we have received the grace of God ourselves. Three things make worship acceptable unto God. Firstly, forgiveness. A people-scented form of worship is filled with the fragrance of forgiveness. That said, we need also to be forgiven ourselves, for the erroneous judgmentalism we unconsciously carry. For example, when we criticize the person upfront for the selection of songs, ask God to forgive us for our lack of grace? Ask God to forgive our judgmental behaviour when these people have sacrificially volunteered their time and energy to put the worship session together; for working hard while the rest of us are busy doing our own things? Ask God to forgive our lack of encouragement. Ask God to forgive our harsh words of critique. Ask God to help us season our words with grace. Sometimes I feel we take our worship teams for granted by letting negative feedback loose too easily, and holding back positive feedback. It takes a forgiven self to understand the true meaning of forgiveness. It takes a gracious person to overlook 10 shortcomings, and to highlight one thing the servants of God have done well. Secondly, obedience. A people-scented worship is cleansed with waters of self-examination. This is done through bathing ourselves in obedience. What sins do I have to confess today? What are the good deeds that I could have done but failed to do last week? If we are given a second chance, what are the things I need to do or re-do, in the light of honouring God with our actions? What have I left undone? Am I serving by the grace of God, on the promises of God? Or are we serving our own selves, and working things out on the premises of our own strength? Have we obeyed our parents, and supported our leaders? Living in a culture of skepticism and criticism, have we obeyed those having authority over us with gladness rather than grumpiness? Being people-scented means we consistently shower blessings of grace upon one another, triggered by obedience to God. Our acts of serving one another is one that is primarily of obedience to God, not solely the experience of self. Thirdly, being people-scented means we serve out of a thankful heart. We recognize that by ourselves we are nothing. We need God. We need one another. Acts of love and grace are emanated from a thankful and grateful heart. One of my favourite songs is Don Moen's "Give Thanks." Being thankful is not simply saying "Thank You." It is LIVING it. I believe that one of the reasons why we fail to come to worship with an expectant heart is because our hearts are not ready. We have not forgiven well. We have not obeyed enough. We have failed to be grateful to the best of our ability. For all these, when we come to God, let us seek that God cleanse us, to forgive us our debts, as we forgive those our debtors. Do not come to worship with a spirit of resentment about your brother or sister in Christ. Do not approach the throne of God with dissent, thinking that you have depleted of choices. Do not enter the Church with a descent unto thanklessness. 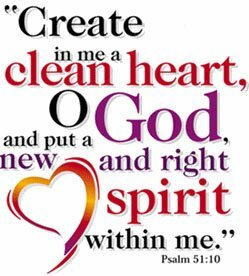 Instead, enter the Church with a heart ready to forgive self and others, to obey God and God's leaders, to be thankful always. For God is merciful. Amen.